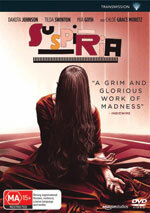 Dario Argento’s 1977 film Suspiria is a high water mark in Italian horror and a revered cult classic. Fortunately, director Luca Guadagnino has delivered a mesmerising and masterful remake that takes the central concept – a prestigious German dance academy run by witches – and digs deep into the black heart of the coven. Dakota Johnson plays American student Susie Bannion, who arrives at the Markos Dance Company in Berlin to audition for the austere Madame Blanc (a perfectly cast Tilda Swinton), and soon finds herself groomed for a more sinister purpose. Argento’s film is horror as art – a stylish nightmare that assaults the eyes and ears. Guadagnino’s Suspiria is a stately arthouse horror that runs an icy talon slowly down your spine.